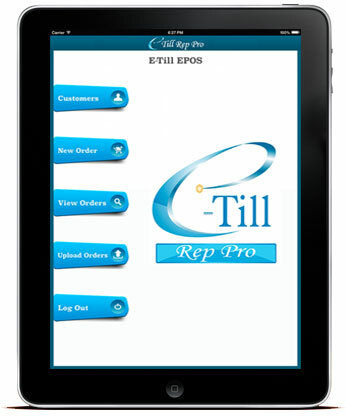 E-Till Rep Pro is very easy to use and flexible sales order-taking App. It allows Sales Representative, Sales Agents and Salesmen to take orders from customers with the outmost simplicity on customer's doorsteps. E-Till Rep Pro is a must have App for Wholesalers, Distributors and Cash & Carries who wants to automate their order processing. 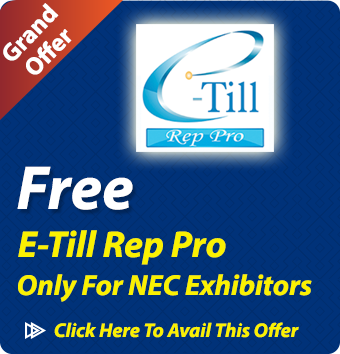 E-Till Rep Pro allows user to sale anywhere and anytime with or without Internet. App contains Customer List, Product Catalogue, Ordering System and more. Fast and Easy to Learn & Use. Available for IPAD 3, IPAD 4, IPAD Air. Sale Your Product at Any Time & Any Where. Take Orders without internet connection. Automated updation system to get new and edited products & customers. Take Orders at Customer's Door Steps. Present & Sale your Products with Images. Warehouse or Cash & Carry can view orders in Back Office. Quick Customer Search by (Account #, Name & Postcode). Quick Product Search by (Code, Description, Barcode). Product navigation By Category and Sub-Category. User-friendly interface of ordering products. Larger view of Product Images to get a detailed insight of product. Customer's Extra Note / Special Instruction can be added into order. Customer's mode of payment can be selected (Cash, Credit Card, Cheque, Bank-Transfer). Order can be Delivery or Collection. E-Till Rep Pro will upload orders when internet is available.